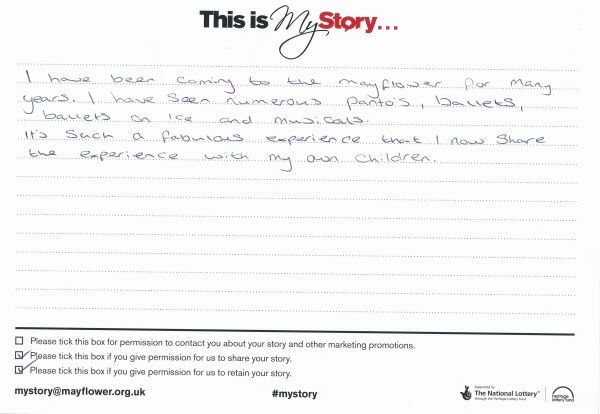 My Story card: Sacha Hart remembers coming to the Mayflower for a long time and now coming with her children. I have been coming to the Mayflower for many years. I have seen numerous panto's, ballets, ballets on ice and musicals. It's such a fabulous experience that I now share the experience with my own children.